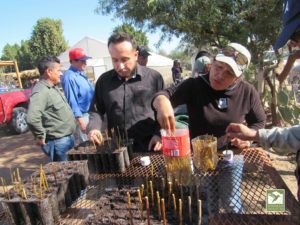 Our restoration team from Sonoran Institute carried out the first Theoretical and Practical Workshop on the Production of Plants this past January, using seedlings of native poplar and willow trees. 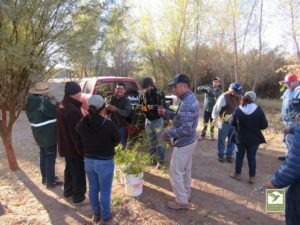 During the workshop, general information about the Laguna Grande riparian habitat restoration project was presented. 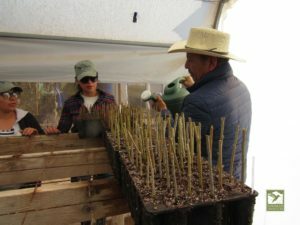 The primary techniques of production and management were reviewed in this hands-on workshop, using seedlings of poplars and willows used in the actual restoration work. 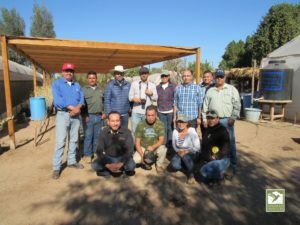 Participants were guided by the Sonoran Institute team through the tree nurseries of the organization, located at Kilometer 49 of the Francisco Murguía Village. 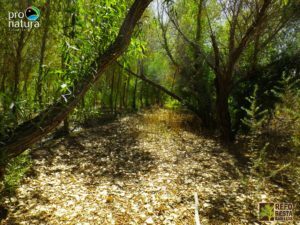 Organizations including the Municipal Public Services (SPM), Secretariat of Environmental Protection (SPA), the National Forestry Commission (CONAFOR), and Save the Lagoons A.C. participated, and we greatly appreciate their interest. 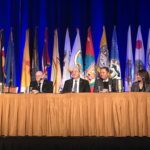 We look forward to continued collaboration! 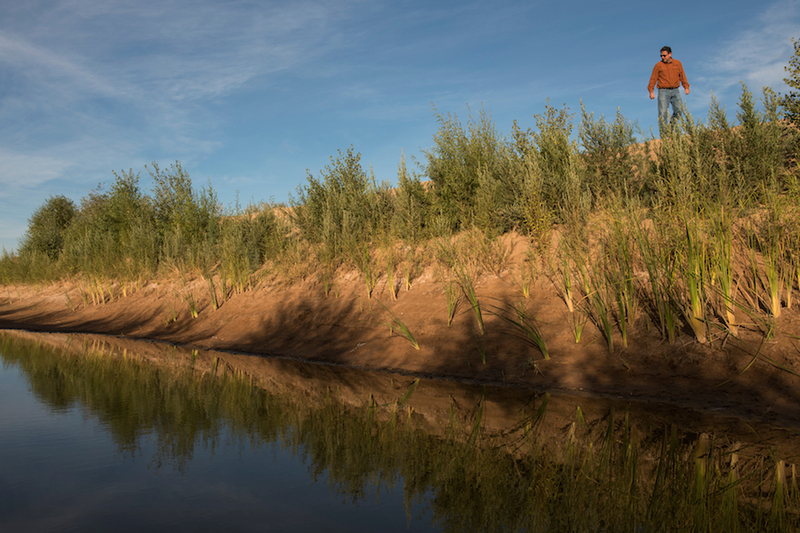 Month by month, our restoration activities in the Colorado River Delta vary, directed by the seasons. 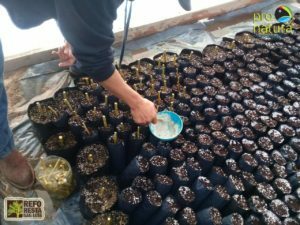 In order to have a supply of native tree seedlings for our Spring planting, we are planting these now. 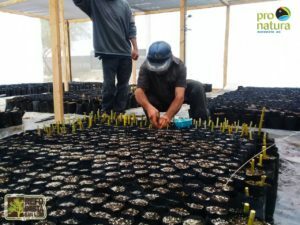 The seeds are nurtured in our on-site nurseries, until they become sizeable enough for planting. 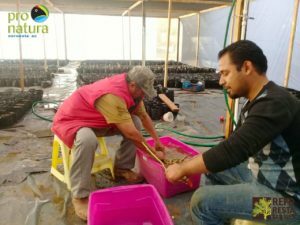 Sharing with you here, photos of our team members in the Miguel Aleman restoration site, part of the team of coalition member Pronatura Noreste. 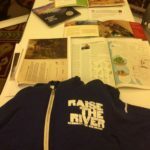 Raise the River at CWRUA! 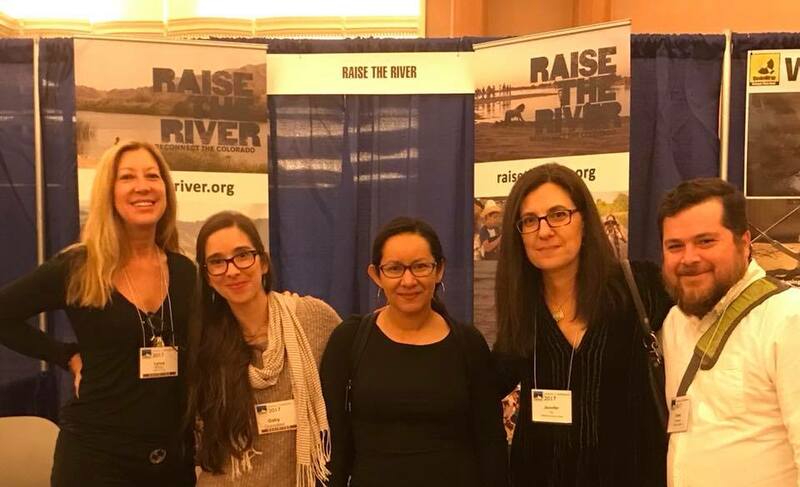 The Raise the River team attended the annual conference of the Colorado River Water Users Association (CWRUA) this past week (December 13-15, 2017), held in Las Vegas. 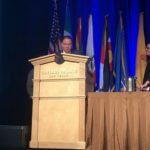 With over 2,000 attendees, this is the annual gathering of this non-profit, non-partisan organization which provides a forum for exchanging ideas and perspectives on Colorado River use and management — with the intent of developing and advocating common objectives, initiatives, and solutions. 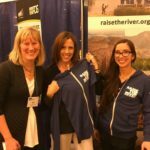 Raise the River had an informational booth in the exhibit hall — one of a very few non-profit organizations to do so — which served to grow our network and raise awareness of the work we are doing in the Colorado River Delta. 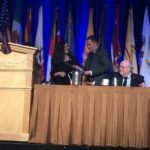 We also took this opportunity to present awards of recognition to key individuals who worked on behalf of the adoption of Minute 323 by the U.S. and Mexico governments this year. 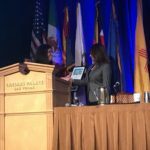 Sharing with our community photos of this presentation ceremony, below. 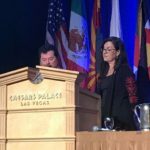 We hope that today, you will join us by contributing to our efforts to bring water and life back to the #Colorado River. 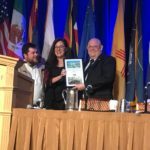 Raise the River sees a day when the Colorado River Delta is brought back to life, together with the renewal of community relationships and engagement that promote long-term stewardship of the river. 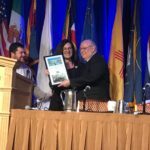 We are a unique partnership of United States and Mexican non-governmental organizations committed to reviving the Colorado River Delta through activities – including fundraising and outreach – that support environmental restoration for the benefit of the people and wildlife of the Delta. 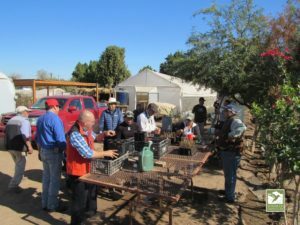 Combining water deliveries with on-the-ground restoration work, our efforts, along with those of Mexico and the United States, are demonstrating the Delta’s tremendous resilience. 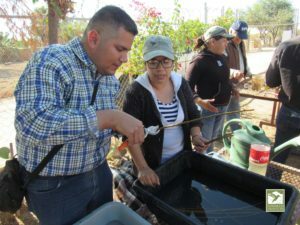 In the areas where habitat has been restored, native vegetation is sustaining a great diversity of life and providing outdoor activity opportunities for local communities. 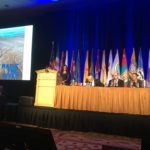 Won’t you join us in helping the Colorado River Delta make a comeback? 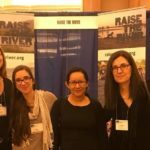 Our friends at Carpe Diem West have included Raise the River in their 10-year highlights of water resiliency in the West. 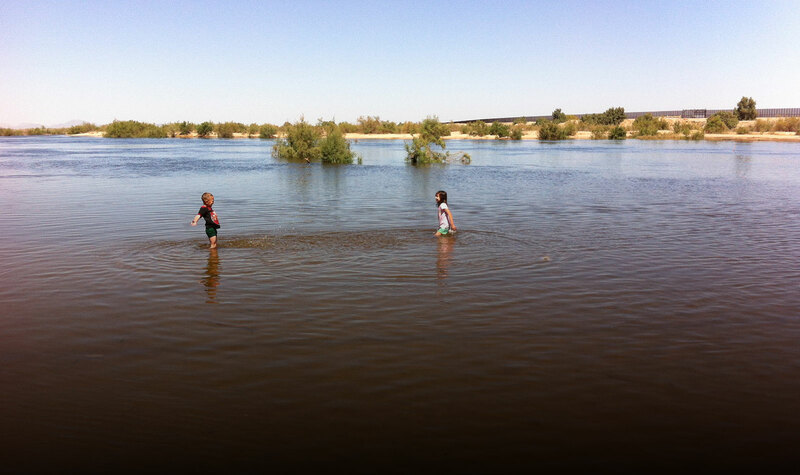 Among the seven stories of the people who are charting the course for climate resiliency and water justice in the American West, the work of Raise the River is included, as working to bring hope back to the Colorado River Delta.